We are a creative Atlanta-based videography studio that produces artistic live event, business, and promotional videos from concept to delivery for organizations of all sizes. Atlanta's most impressive barbecue joints battled to determine who smokes the best 'cue. This video takes a closer look at both final round competitors - Fox Bros Bar-B-Q and DAS BBQ. The 10th annual Blue Ties event featuring keynote speaker David Baker. 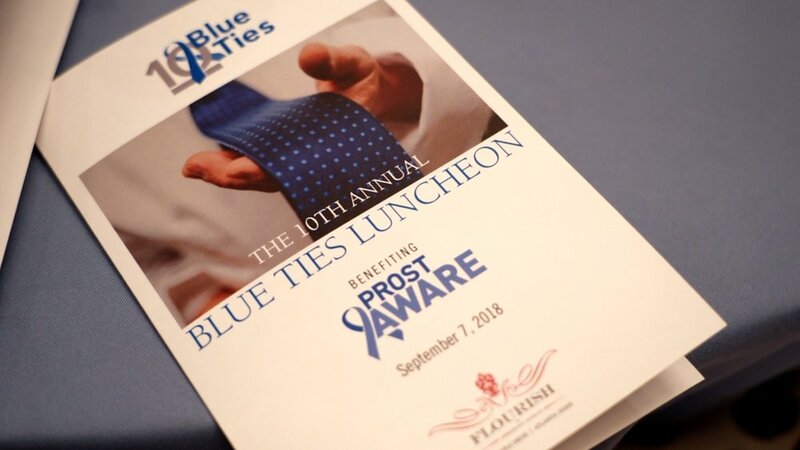 The luncheon brings awareness to prostate cancer and benefits the ProstAware organization. Highlights from a three-day leadership summit in downtown Atlanta at the Atlanta Marriott Marquis complete with on-site editing and live presentation to conclude the event. We are able to promote your product or share your message with concise and creative videos delivered on the web, through broadcast, or within your internal network. Our goal is to create effective programs with personality that your audience will want to watch and share with others. We take the time to learn about your brand and goals and deliver videos that will increase your social presence and speak directly to your target audience. A summary of our services offered is available below. Our team has an extensive background with filming live events such as corporate conferences, awards programs, and training seminars. This translates to a highly-efficient on-set experience where additional re-takes and lengthy setup are not necessary in order to achieve a great product. Combined with a team of creative professionals with an eye on the details and the ability for quick turn-around, we have the know-how to deliver your next video project on budget and on time. Let's get started today! With over 15 years of live event experience, our team is prepared to create a highlights or full program video for your next business conference, awards program, or presentation. Let your audience know who you are and what you have to offer. Business videos are great to creatively promote new products or services to your target market. Marketing videos allow your brand to reach larger audiences. Increase your social presence and engage both existing and new customers through video. Whether your video is for web or broadcast consumption, our team will deliver your message for new products or events in a creative, interesting manner. Share your mission through a creatively scripted and produced video to increase awareness, build an audience, and raise funds for your non-profit or start-up organization. Video is one of the most cost-effective ways to train new staff or provide on-going courses to existing teams. Our studio can deliver training videos that ensure success.